We all have goals and may project them in to the future of how we would like things to be, ourselves or our circumstance. Goals and dreams are great and drive us forward. So the question is, in the now what can we do, to be that self we see or difference we want to make? 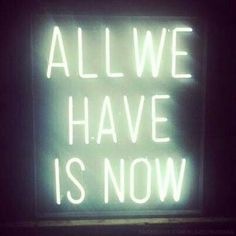 What can we do to be that now and how may it already be here?